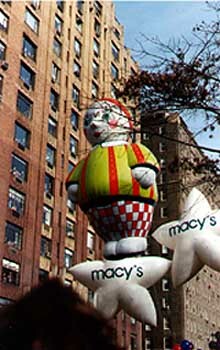 Here is the start of Macy's Thanksgiving Parade. These pics were taken 3 years ago before some balloons were banned and the weather was good. As you may have noted, I perched myself up along central park west to see this parade.